Hey everyone, with the end of the year rapidly approaching I thought I’d share what releases I had this year. Most of these books and games are available to purchase online. I have to say–I really appreciate your support this year! Because of you, I was able to hop firmly on the proverbial writing and developing horse to put out some great stuff! This year marked a few milestones, too. As always, if you’re interested in supporting my efforts, you can buy me a coffee or sign up for my newsletter–with the caveat the updates will be changed. Right now they’re sporadic because my emphasis isn’t on marketing or promotion, but I will be wrangling this to more manageable and predictable levels next year. 2019 is going to be very interesting for me, because I’m launching a Patreon and will be focused on releases. 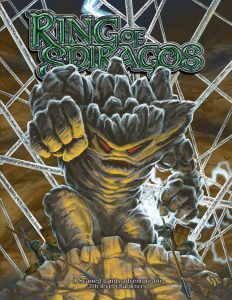 Production-wise, I’ve been working on wrapping up Hunter: The Vigil 2nd Edition for Onyx Path Publishing. I also did quite a bit of volunteer work for SFWA, and I’m so pleased that next year we’ll celebrate the very first Game Nebula Award. More to come on that! This was the first year I played a game for ExtraLife, too, and I had a ton of fun with A. Happy Gnome. For fiction, I had two short stories come out this year. The first is a short story about a cyborg who faces termination; the story has a contemporary theme and explores the topic of consent. The second was written as a prequel to Lovecraft’s “The Dunwich Horror”, and focuses on one of the author’s rare female characters. I have a few short stories already scheduled for next year, and I hit submissions hard so watch this space. In non-fiction, my releases were concentrated in books. I wrote about creating an alien language for Wonderbook Revised, an essay about representation for Hath No Fury, and an entire encyclopedia about Firefly! 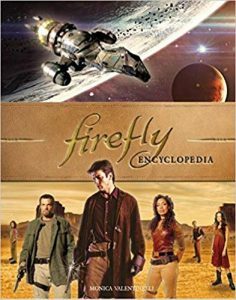 The Firefly Encyclopedia is available everywhere worldwide, too–even Walmart and Target! 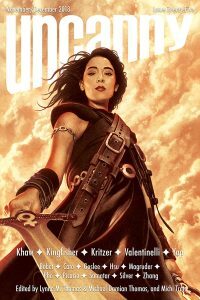 My publisher, Titan Books, has been working with sites like Tor.com and SyFy.com for give-a-ways and previews, too. That’s it for me this year! I already have announcements for next year and will be pleased to share them with you in the coming months. I hope your 2018 was fabulous, and wish you the best of luck in all your endeavors.